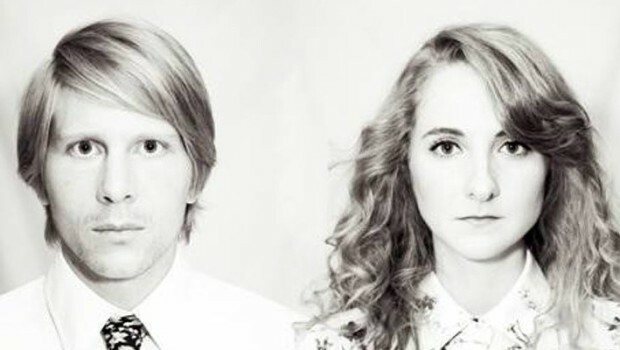 Husband and wife duo Tennis release their fourth studio album, continuing their streak of consistently delivering catchy retro-pop sounds. I was introduced to this lesser-known band as the opening act for pop-rock sister trio HAIM at an event which perfectly captures their essence – an outdoor summer concert. Both acts were clearly inspired by early pop groups like Fleetwood Mac, and the tribute here is better executed than most. The band was brought to wider attention after working with The Black Keys’ Patrick Carney on their 2014 album, Ritual In Repeat, and reminds me why their live show captivated me so much on this project. Even going as far as to look and dress the part of the musical era they are so enamoured with, being immersed in the warm vocals of Alaina Moore and ethereal dream-pop instrumentals from Patrick Riley is a thoroughly enjoyable experience. Tennis is so intriguing because they emulate a very specific style of music near-perfectly, offering a time machine to listeners with the promise of escape from the sometimes overwhelmingly hollow and vapid landscape of current popular music. We live in a time where The Chainsmokers can chart 3 songs in the Billboard top 10 simultaneously, after all. Yet, at the same time, they make it sound like any of these songs could easily fit in today, as if Tennis is filling a necessary space that has been empty for too long. If the band had wider recognition there is no doubt they could have a hit single. The sound of the album is mainly 60s-70s California surf-pop, featuring tracks driven by reverb-laden guitar hooks and layered harmonies. This blends together with some more modern features of the alternative dream-pop scene, Moore’s vocals calling to mind some of Lana Del Rey’s work at times. Moore’s voice is absolutely magical and is the clear main attraction here, sounding great at all ends of her impressive register. Soft and unassuming yet playful and inviting, she is the perfect fit for this style of music. Opening track “In The Morning I’ll Be Better” really sets the tone for the rest of the project — Moore precedes the chorus with a beautiful low harmony (“Say you’re my baby…”) before reaching all the way up to pleadingly deliver the song’s title in the outro, drawing the listener in completely. The bass guitar riff and twinkling piano melody complete one of the year’s best tracks. The structure of “Matrimony” is very similar, and delivers once again. The pounding synth piano is brought out more here, allowing a more freeing space for Moore’s airy vocals as she reminisces about her wedding day on a “sweet summer morning early in July”. This is the band’s first album without a fully committed drummer, as band member James Barone left the group after their previous effort, and the adjustment period is felt. Not that the percussion sounds particularly bad, but it doesn’t fit as well with the mastery of the style brought forth with all other aspects of the music. It sounds much more mechanical and modern than the rest of the instrumental. Additionally, most of these tracks are short but sweet, and on both occasions where the songs extend past 4 minutes it is due to extended repetition of one motif that goes on a bit too long, briefly snapping me out of the trance they put me in. 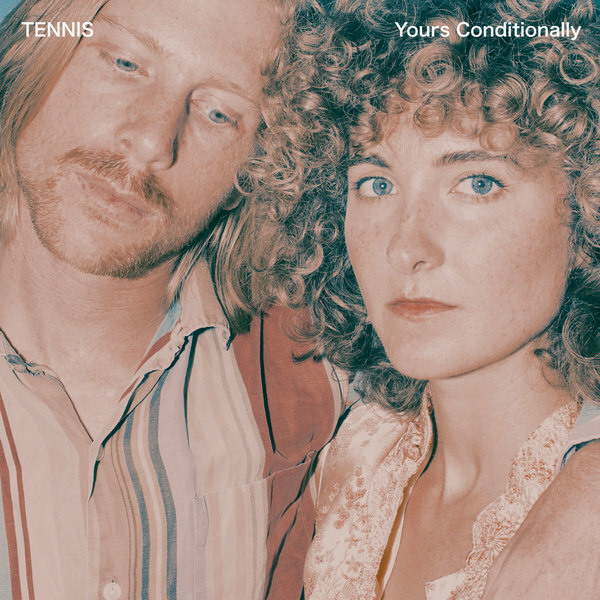 That being said, Yours Conditionally, like the rest of Tennis’ career, is an homage which is delivered with so much clear admiration and lifelong dedication to its source material that you can’t help but applaud them for their efforts. The aspects of modernity that they apply allow them to give these tracks their own character, extending it past a cheap imitation, and the musicianship on display to accompany Moore’s refreshing voice is excellent.